Arquia/upcoming is the cultural programme of the Arquia Foundation, designed to offer support to Spanish architects in the first ten years of their careers and based on the dissemination, promotion and enhancement of their accomplishments and principles as professionals. 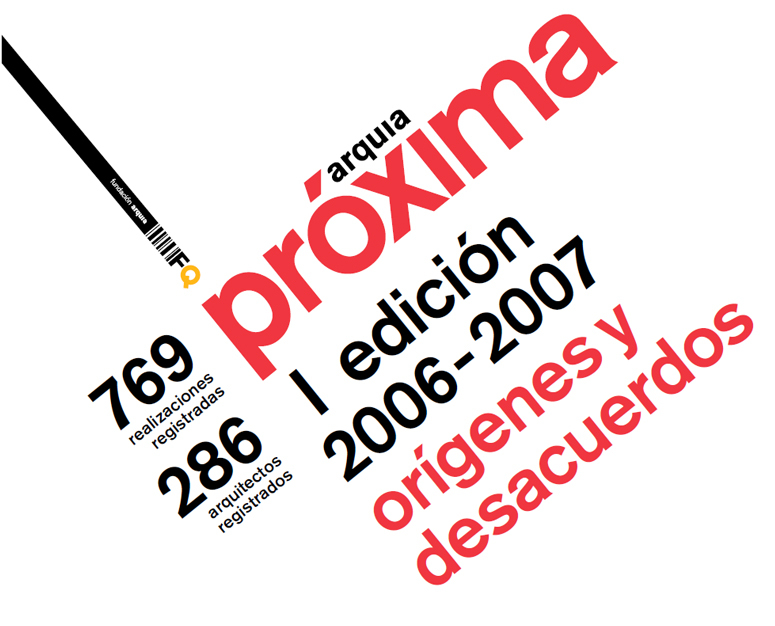 Just a few days left to take part in arquia/próxima's 6th call for 2016-2017. The countdown has begun. Remember that you can register until midday on 18 January. José María Sánchez García has been chosen by the next architects who meet the participation requirements, as his representative on the jury of the 5th edition of the programme. On 23 October, the 4th edition of the Arquia Upcoming forum was held in Granada, the reference event of young architecture in our country, which in each edition, shows young architects of a very high standard, with a desire to excel and a vocation for this profession. On 28 April, the meeting of the arquia/upcoming jury for the 4th edition 2012-2013, was held at Arquia's headquarters on Barquillo street in Madrid. It was attended by Eva Franch, general curator, Emilio Tuñón, trustee of the Arquia Foundation, Toni Gironès, new work / project curator, Izaskun Chinchilla, interior design and restorationcurator, Luis Úrculo, culture, research and training curator, Andrés Jaque, city and territory curator and Gerardo García-Ventosa, director of the Arquia Foundation.